Britain's defense minister on Thursday ordered an investigation into security at the army's Sandhurst officers' academy, where Prince Harry is training, after a newspaper reported that one of its journalists gained access and filmed the prince. "I Could Have Blown Harry to Bits," reads the headline on The Sun, in trumpeting the success of one of its reporters in not only getting onto the grounds of the military academy but also getting very close to its royal student. The incident is the latest in a string of breaches that have focused attention on the royal family's security in the past couple for years. The Sun says its reporter posed as a student to get permission to use the library at the elite Royal Military Academy Sandhurst in Surrey, southern England, where Prince Charles' younger son is an officer cadet. The journalist spent some eight hours wandering the grounds at Sandhurst and took video footage of Prince Harry, stills from which were published in the newspaper. He also built what The Sun called a fake bomb, with wires, plasticine, a battery and clock in his car while at the academy, the daily said. A Ministry of Defense spokesman confirmed that The Sun's report is accurate. Defense Secretary John Reid said he has ordered "an immediate investigation into this serious security breach. "I have instructed Sandhurst to change their procedures to prevent a recurrence," Reid said in a statement released by the ministry. Reid didn't specify what the changes would be. 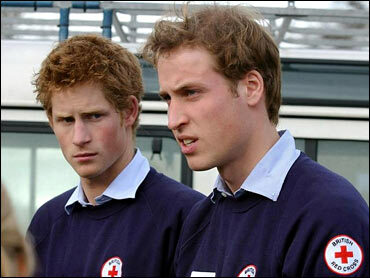 Prince Harry, 20, began his training at Sandhurst last month. The Sun's stunt follows several recent lapses in royal security. In September, a protester disguised as Batman climbed onto a ledge on the front of Buckingham Palace and remained there for several hours. A comedian dressed as Osama bin Laden gate-crashed Prince William's 21st birthday party at Windsor Castle in 2003. Later that year a reporter from the Daily Mirror got a job as a servant at Buckingham Palace and took pictures of the royals' living quarters.